The engine is the heart and soul of a vehicle. Don't trust its care to anything but Ranger. 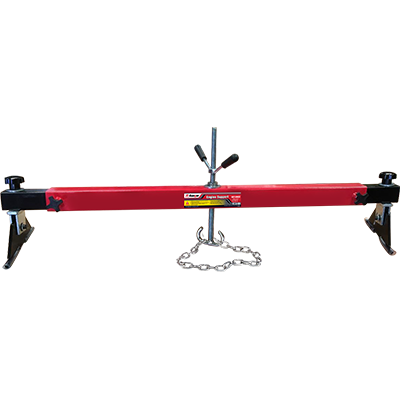 If you’re replacing or servicing engine mounts but don’t want to lift the entire engine to do so, save time and money with a superior-quality engine support beam. Professionals and DIY’ers both benefit from having an engine support hand for fast access to the engine. The RST-500ES is designed for unparalleled adaptability: threaded adjustable chain hooks and telescoping side foot pads adjust to all manner of engine compartments. Wheel well to wheel well support provides a solid foundation for up to 680 kg. of engine while you're working on the transmission or dropping a sub-frame. This engine support is both easy to use and saves real time, every time. And we all know that in this business, time means money.